This resort is sprawled over 12-hectares of land, and is the first and only five-star international resort on the island of Boracay. The resort includes 219 rooms with 36 villas and suites, leisure facilities, 350 metres of secluded beachfront, an infinity pool, a spa, multiple dining options and a thriving ecosystem of diversity with rare flora and fauna. The resort villas house some of the countries most indulgent and stylish accommodation. 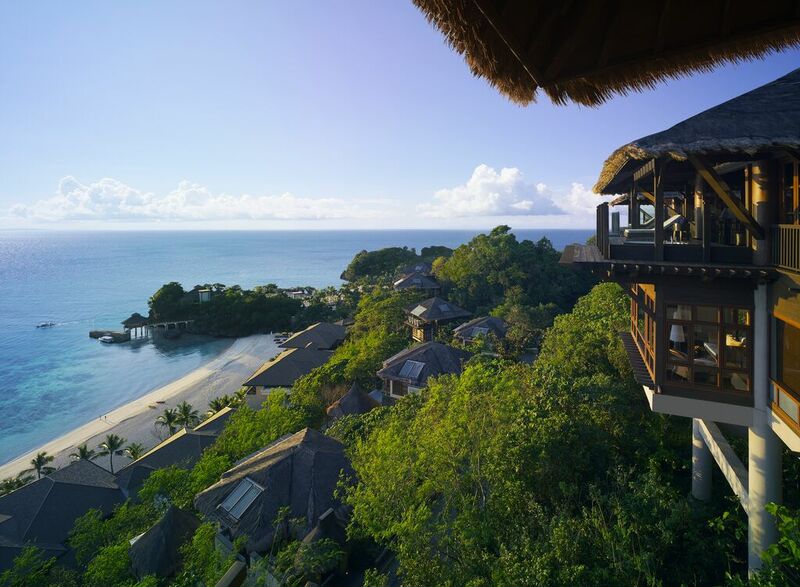 The Treehouse villas sit atop the resort’s highest grounds, with spectacular views of the sea. Feasts of local materials were used in the design, including the island’s coral stone on the exterior architecture. CHI, The Spa at Shangri-La, embraces a holistic approach to physical and spiritual well-being, inspired by Asian healing philosophies. Shangri-La serves guests with water that is produced by its own water bottling plant. The resort also practices solid waste management and all food waste from the various kitchens are collected and brought to the resort’s backyard. Surrounded by an eco-reserve, Shangri-La’s Boracay Resort and Spa is truly the perfect paradise destination.